It has always been a lifelong dream of mine to be able to impact the hearts, minds and lives of the world’s youngest generation, especially those who have been neglected, left abandoned, abused and exploited in one way or another. After all, they are the ones that are most fragile and vulnerable. They somehow need more attention than the average person. They need our genuine love and affection regardless of the circumstances. They must be nurtured and well trained because the way that they are trained from early childhood, determines to a large extent the person they become in their adult life. As a mother of three (3) beautiful daughters myself, from as far back as I could remember, I’ve always been very protective of my children. I entered into single parenthood with them when they were still very young girls, but it never stopped me from loving them in an unconditional way and to ensure they were kept grounded in the word of the Lord. 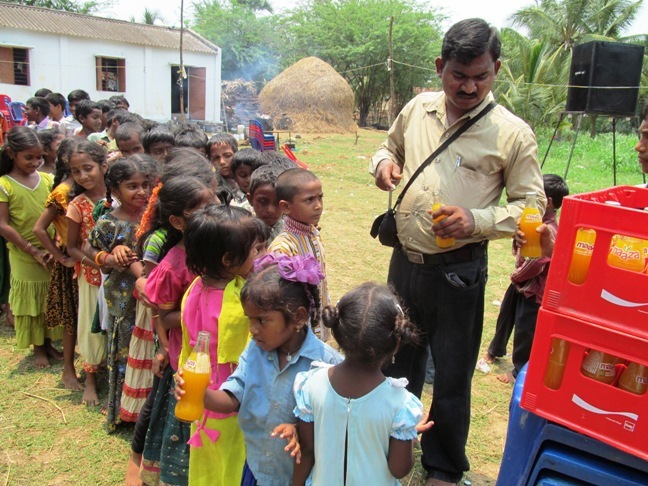 I recall the days when we got dressed up and huddled into the vehicle to get to Sunday School and Church. They came to know the Lord in their early teens, and even though they are grown up now, the youngest still in her teenage years, they have not forgotten the word of the Lord, the teachings and the morals that were instilled in them. erratic, wild and crazy when I thought I would have lost my mind. I remember a few years back, in the year 2000 it was, I was having a rather difficult moment in my life. To be exact, I was going through a period of shock and depression. My eldest daughter came to my bedside and as she blanketed me she said, “Mommy, stop worrying. Worries are like a rocking chair, it keeps you moving but it is going to get you no where.” I could see it in her eyes that while her words were loving, they were piercing to my spirit to have given me the strength and the encouragement that I so badly needed. Truly they’ve been to me sources of inspiration, strength, encouragement and hope. Over the years, we’ve become a very close knit family and even though the struggles of life remained, the bond continues today. Preserving our Godly heritage extend beyond the borders of our homes, our own family and our shores. Someone once said the world has become a global village, while another said, it takes a village to raise a child. How absolutely true are both of these sayings.Join with me then in preserving our heritage. 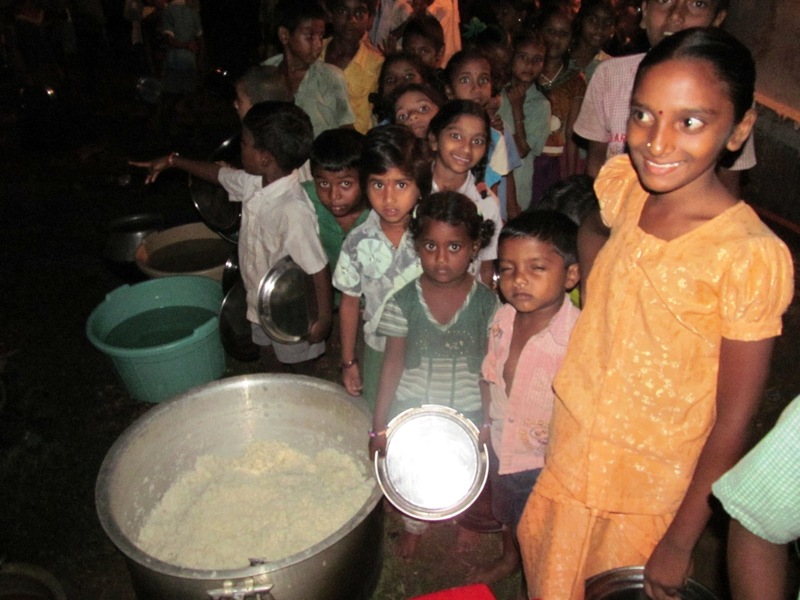 There are many who are in great need of our support, to give them the hope of a brighter future. 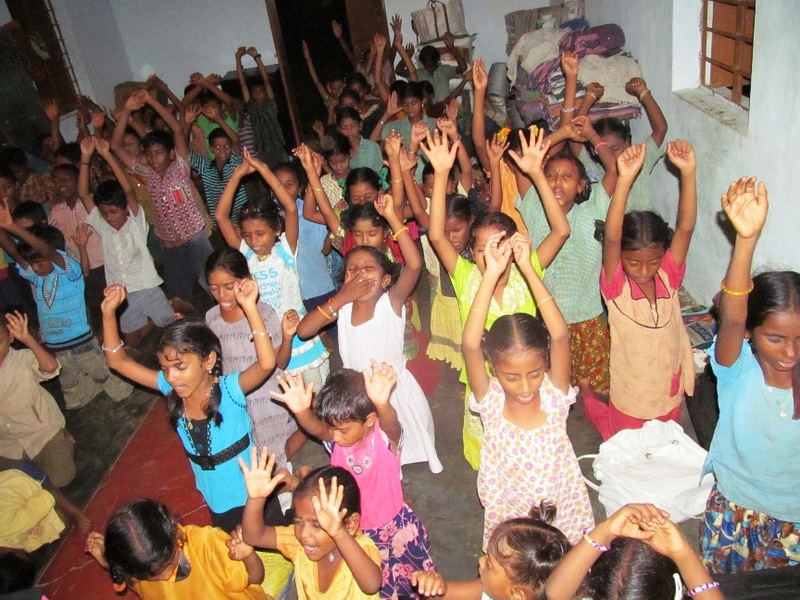 Photo: by Pastor John Prasad (AGCM, India) Children lifting their hands in worship and adoration to God. 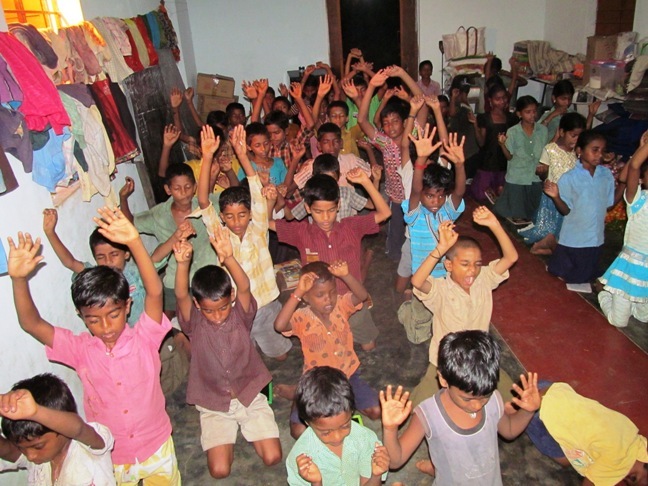 Photo: by Pastor John Prasad (AGCM, India) Children as they are being taught the word of the Lord.